There is a whole range of major life changes that can have an impact on your taxes. Getting married, getting divorced, having kids, even changing jobs bring significant complications to the way you do your taxes. These adjustments are going to be predicated upon the particular developments that take place in your life. Maybe you are saving for your college education or working as an independent contractor. There are many provisions of the tax code that could apply to you. So let’s take a closer look at some of the most common life changes that can affect how your file your taxes. It’s one of the biggest life changes you will ever experience. This joyful, momentous occasion should bring you nothing but happiness. It will also bring you a litany of tax implications that could change how you file, possibly leading to some exemptions and other benefits come tax time. 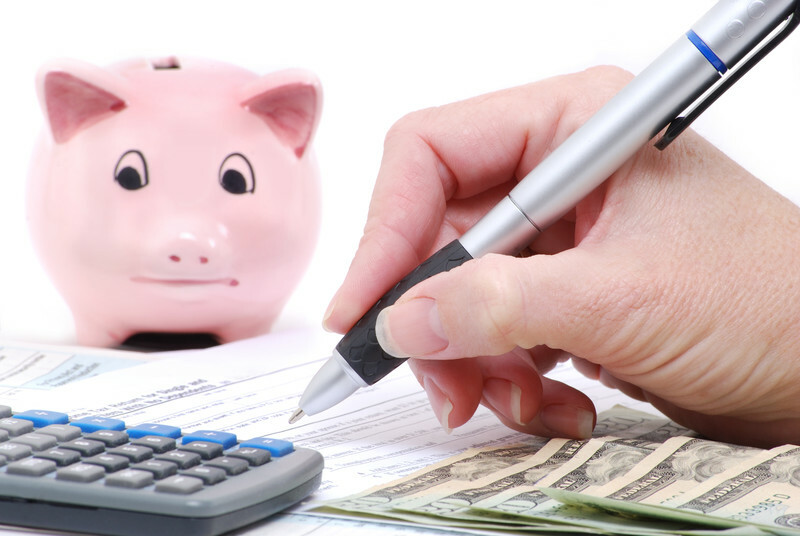 You may also want to reconsider your withholding status on your payroll checks. Your marital status will have a direct impact on your filing status. Thus, figuring out when and how to change that status on the next return can be a bit confusing. For most every case, the marital status you can claim on your taxes depends on your status on December 31st, the final day of that tax year. In order to count yourself as married for the purposes of filing your taxes that year, you must meet one of the following criteria. You were legally married and living in the same residence as your spouse. You were a spouse in a common law marriage recognized by the state. You were living apart from your spouse but have not filed for separation. You are currently in the middle of a divorce proceeding that has not been finalized yet. You are widowed or a widower. If any of these apply to your situation, then your filing status can be single. You have not gotten married. You are divorced and that process has been completed. For those of you who are married, you now have a choice for filing your taxes. You may do it separately or jointly. Most couples will file a joint tax return. However, there are benefits to either method based on your particular situation. A joint tax return is when you and your spouse both declare income, claim deductions, exemptions, and any applicable credits together on one tax return. Doing so brings with it some very specific expectations and criteria. Most importantly, you are jointly responsible for your collective tax liability. You are both on the hook for paying any taxes, interest, or penalties that may come about from the information reported on this return. This also applies to both parties should one of them report no income. There are exceptions to this rule. Let us say one individual feels that they are not fully responsible for the other’s tax liability or debts. That person may apply for Innocent Spouse Relief which can help lighten the burden. You can be married and still file separate returns. This is done primarily to avoid taking on the responsibility of your spouse’s tax burden. Though, some couples decide to file separately. They do so if they determine that it can result in each of them getting a bigger refund or a smaller tax bill. As per the conditions that qualify you for a married filing status, you and your spouse or your ex-spouse may file separate returns. You are eligible as long as you were considered married as of December 31. The other option is to file a return together. Deciding to do so can be predicated upon how much you would collectively owe compared to filing separately. Doing so may also make you eligible for certain deductions and tax benefits that you can’t get otherwise. Choosing between one over the other should be done with your specific financial situation in mind. Some couples may get a larger refund or a lower tax debt by filing jointly. Consequently, others may find that filing separately makes more sense for them. Do a little research and preliminary calculations before you fill out and hand in your return. That will ensure you get the biggest benefits available to you. This dramatic life change can also have major consequences on your taxes. There are many things to consider. These include alimony and child support payments and claiming dependents. That is in addition to the exemptions or deductions that are available for those taxpayers who are filing after a divorce has been finalized. Paying or receiving alimony or child support payments can affect your reporting and the deductions which you may be eligible to claim. Those who pay alimony to an ex-spouse may deduct those payments on your return. In turn, those of you who are receiving those payments must declare that money as income. Alimony payments are only considered eligible if the payments are part of a written agreement, a court order, or included in a divorce settlement. 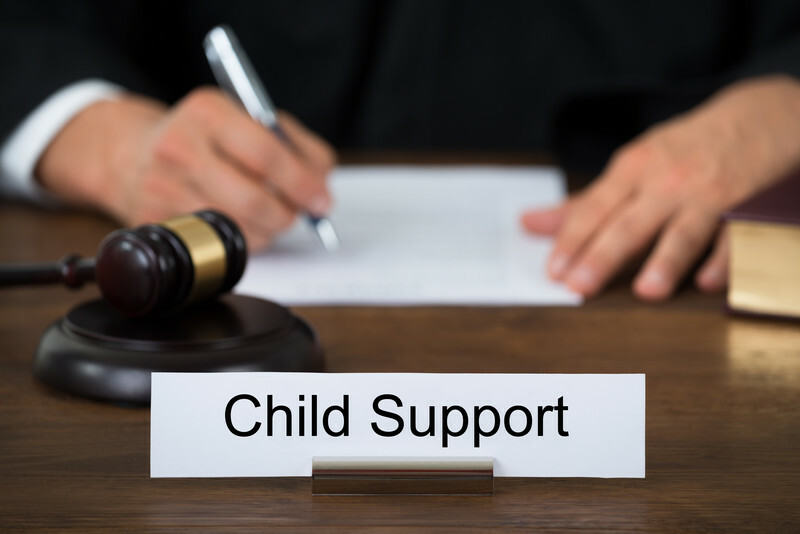 Child support payments differ from alimony and these monies are not eligible for a deduction. Additionally, they are not considered taxable income for the recipient. When a couple who divorces has children, this can cause some potential issues. They must figure out which parent is able to claim those children as dependents on their tax return. In most cases, a child is only eligible to be claimed on one tax return. Both parents are not typically allowed to claim their children on separate returns. The way to determine which parent is legally permitted to the exemption is usually decided through a custodial decree or similar court-ordered arrangement. It will declare which parent the child or children in question are declared as living with. What if there is no such legal decree? In that case, the decision is made by consideration of which parent the child or children have physically lived with more than a period of one year. There are exceptions to these rules. One is if the custodial parent signs a specific document. This waives rightful claim to the exemption. The parent promises that they will not claim the child or children in question on their return. Whichever parent claims the exemption for dependents can take the tax credit of $1,000 for every child under the age of 17 living in the household. 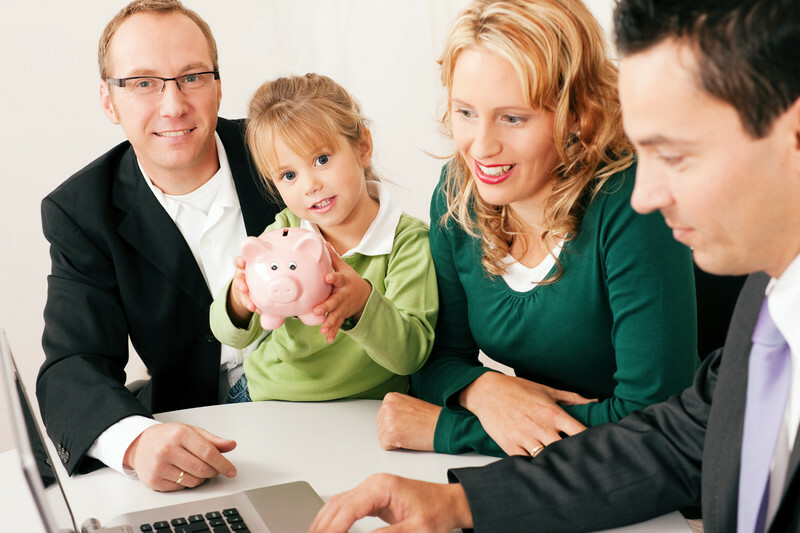 Additionally, the parent must meet certain income eligibility criteria. There are instances where one parent will claim the dependent’s exemption when they are not allowed to do so. Sometimes a spouse will file their tax return before the custodial parent. They do that in order to take the exemption. They will be permitted to take it, for a temporary amount of time. The IRS will realize that the child or children’s Social Security number is listed on two separate returns. Then, in turn, the agency will open an investigation into the matter. That will determine which tax return should rightfully claim the exemption. What if you were married but got divorced in the same year? How do you file? It all depends on whether or not your divorce became final by December 31. If so, then you can file independently of your spouse as a single filer. If the end of the year comes around and your divorce is no finalized, you then have the choice to file jointly if you wish. Once the divorce is final, you no longer have that opportunity. Perhaps you are unable to file jointly. You probably still want to take advantage of certain tax breaks and deductions that may be available. In this case, you can file as Head of Household. However, in order to get all of the benefits of a dependent living with you, that dependent must be in the same residence for over a year. Additionally, you must have paid the majority of the costs needed to maintain the residence. If either one of these does not apply, you will likely be required to file as single. As we have seen already, having a child in the household can bring about some useful tax advantages for a custodial parent in a divorce. Yet, eligible dependents may also provide a whole range to tax benefits to parents who are filing their tax returns each year. In fact, this is one of the areas where taxpayers can collect significant tax credits. These can be applied toward reducing their tax bill. These include the Child Tax Credit, the Child and Dependent Care Tax Credit, Adoption Tax Credit, and a variety of tax deductions and credits through federal resources. Additionally, there is the potential for a bigger Earned Income Credit to those who qualify. You and the spouse with whom you are filing jointly must have a valid Social Security number. Every Qualifying child must also have a valid Social Security number. You are required to have some form of earned income either through employment or self-employment. You must file jointly as a married couple. Filing separately makes you ineligible. You may not be a Qualifying Child on another taxpayer’s return. Only one person may claim a Qualifying Child for the credit. You must be a U.S. citizen or alien with resident status living in the United States for the entire tax year or a nonresident alien married to a U.S. citizen or alien with resident status filing jointly. You must be a U.S. citizen or resident alien for the whole year, or a nonresident alien married to a U.S. citizen or resident alien and filing a joint return. You cannot be the Qualifying Child (for the Earned Income Credit) of another person. Your Qualifying Child for the EITC cannot be used by more than one person to claim the EITC. Be between 25 and 65 years of age by the end of the tax year. Live in the United States for at least six months and one day. May not be considered a Qualifying Child on another taxpayer’s return. May not file Form 2555 or 2555EZ. Investment income, if applicable, may not exceed $3,400 for 2016. This was developed as a way to help struggling families with the many costs that come with raising kids. The Child Tax Credit can equal up to $1,000 for each child who meets all of the necessary qualifying criteria. For the tax year 2016, the credit may be partially refundable. That is if your earned income exceeded $3,000. Additionally, this portion of the credit is set to phase out by the start of 2017 for taxpayers with a tax rate of 15% and up. It also begins to decrease in value for all taxpayers with an adjusted gross income of $75,000 if filing as single and as a Head of Household. It is $110,000 for married couples filing jointly and $55,000 if filing separately. The child must be age 16 or under by December 31. The child must be a U.S. citizen, national, or alien with resident status. The child must be a dependent that can be claimed on your tax return. The child must be related either by blood or by law through marriage or adoption. The child must be living in the same residence for over half the year. Certain exemptions apply such as temporary absences for qualifying reasons or due to divorce. The child must have been supported financially by someone else other than him or herself at a sum of over half of their total combined living expenses for the year. This is also a pretty big step in anyone’s life. Pursuing an education can also yield you some healthy benefits through deductions and credits. That is in addition to college savings plans that are tax-free. As we know, tax credits are the most preferred ways to benefit come tax time. That is because they remove actual dollars from your tax bill when you qualify to receive them. If you chose to get a higher education, you can take advantage of two common education tax credits. They are designed to help defray the high prices of tuition and other related costs at the nation’s colleges and universities. For students, the two most valuable tax credits are The American Opportunity Credit and the Lifetime Learning Credit. This is also known at one time as The Hope Credit. It is the more potentially lucrative of the two. That is because you may claim up to $2,500 per year for each qualifying student. The credit can defray 100% of the first $2,000 of education expenses. These include tuition, fees, and other expenses, as long as they meet all of the necessary requirements for qualification. You may also get 25% off the following $2,000 after that. The American Opportunity Credit may only be applied toward any four-year institution including colleges, universities, vocational institutions and for-profit and non-profit facilities. Up to 40% of the credit is given out as a tax refund. Therefore, you could get $1,000 for every qualifying student. That applies even if you don’t have any tax bill to pay. Any student that claims the credit is mandated to have a minimum of half-time in at least one period of academic enrollment at some point during the Tax Year. Limits on modified adjusted gross income of $80,000 for single filers, head of household and qualifying widow or widower and $160,000 for married couples filing a joint return. The credit can be claimed on education expenses that were paid by you, a spouse, or a dependent that you may claim. Though, the credit may not be claimed by you if you are claimed as a dependent on another taxpayer’s return. In order to claim the credit, the only education expenses that are eligible are those spent on tuition and other related fees. That is in addition to school supplies including books, equipment, course materials, and supplies. Room and board costs do not qualify. Any student who has received a drug conviction by the end of 2016 will not be eligible to receive the American Opportunity Credit. This credit applies to a wide array of courses in undergraduate, graduate, professional degree, and post-graduate curricula. It also applies to any and all years of post-secondary courses and adult or continuing education classes, with no limit on the number of years in which you can claim the Lifetime Learning Credit. You do not need to meet any minimum enrollment qualifications. The credit can be worth 20% of the initial $10,000 of post-secondary tuition and related fees that were paid out, up to a maximum of $2,000 per year. The modified adjusted gross income limits in order to receive full credit for 2016 is $55,000 for a single filer, head of household, and widow/widower, $110,000 for married couples on a joint return. The credit is not refundable. It may only be applied towards reducing a tax liability. Should you not have any, the credit will not be included in any refund you may be owed. The credit can be claimed on education expenses that were paid by you, a spouse, or a dependent that you may claim. However, you are not eligible for the credit if you are claimed as a dependent on another taxpayer’s return. In order to claim the credit, the only education expenses that are eligible are those spent on tuition and other related fees, school supplies including books, equipment, course materials, and supplies. Room and board costs do not qualify. You may still be eligible even with a drug conviction on your record. Keep in mind that you may not claim both the Lifetime Learning Credit and the American Opportunity Credit for any one student during the same year. However, you may claim one and the other for different students during that time. These are the major life changes that could have an impact on your taxes. A few others such as changing your job, losing your job and retiring can also have an effect on the way you report your taxes. If you start a new job you can explore if you qualify for the Earned Income Tax Credit. Ask your employer about earning tax-free income through contributions to a retirement account. Also, you might consider adjusting your income tax withholding on your W-4. Becoming unemployed and actively seeking work could also bring tax implications such as deducting expenses associated with searching for a job. Additionally, retirement comes with some important tax issues related to your Social Security income. Investment retirement account distributions could be taxed when you withdraw those monies from your accounts.